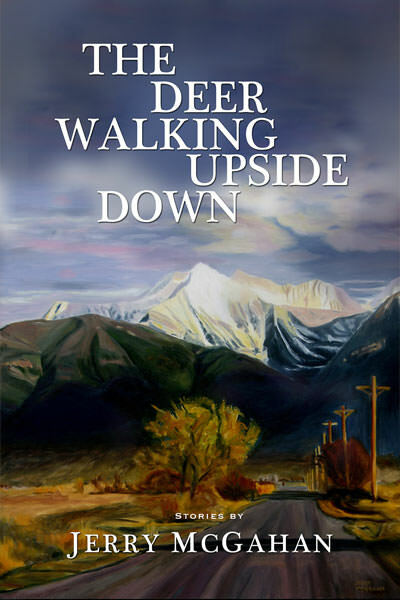 In this debut story collection from Jerry McGahan, artist, novelist (A Condor Brings the Sun) and lifelong Montanan, comprised of short fiction published over a span of twenty years, and appearing in major literary journals (The Georgia Review, Ploughshares, The Antioch Review, Northern Lights, and Grey's Sporting Journal) nature in all its varieties cohabits with and intervenes in the lives of the people who make their home along the fringes of the wilderness. McGahan invites us into a world where hard work and and an abiding respect for all things wild inform the lives of the inhabitants of this rural paradise, yet not without a price. Filled with visceral and wrenching scenes of encounters with the wild, palpable characters, humor, and realistic detail, this collection marks the arrival of a distinct new voice in the contemporary Western literary landscape. "Jerry McGahan is one hell of a writer. He spins these carefully crafted stories of ordinary characters from western Montana, until they begin to swim outward to fill the spaces beyond the fence lines of domesticity. During the last story in this collectio"
Doug Peacock	Award-winning author of Grizzly Years: In Search of the American Wilderness and In the Shadow of the Sabertooth: Global Warming, the Origins of the First Americans and the Terrible Beasts of the Pleistocene. "Jerry McGahan has brought off a terrific feat of synthesis and created a book as remarkable as it is rare"
"McGahan's reflective narrative is an elegantly written, astonishingly cohesive debut."